Around 1900, physicists started to discover particles like electrons, protons, and neutrons, and with these discoveries believed they could predict the internal behavior of the atom. However, once their predictions were compared to the results of experiments in the real world, it became clear that the principles of classical physics and mechanics were far from capable of explaining phenomena on the atomic scale. With this realization came the advent of quantum physics, one of the most important intellectual movements in human history. Today, quantum physics is everywhere: it explains how our computers work, how lasers transmit information across the Internet, and allows scientists to predict accurately the behavior of nearly every particle in nature. Its application continues to be fundamental in the investigation of the most expansive questions related to our world and the universe. However, while the field and principles of quantum physics are known to have nearly limitless applications, the fundamental reasons why this is the case are far less understood. In Quantum Physics: What Everyone Needs to Know, quantum physicist Michael G. Raymer distills the basic principles of such an abstract field, and addresses the many ways quantum physics is a key factor in today's science and beyond. The book tackles questions as broad as the meaning of quantum entanglement and as specific and timely as why governments worldwide are spending billions of dollars developing quantum technology research. 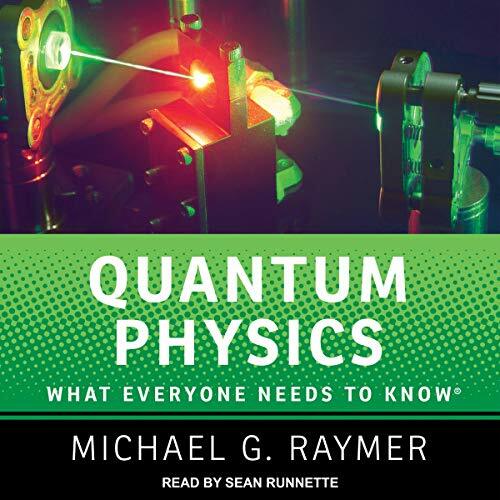 Raymer's list of topics is diverse, and showcases the sheer range of questions and ideas in which quantum physics is involved. From applications like data encryption and quantum computing to principles and concepts like "quantum nonlocality" and Heisenberg's uncertainty principle, Quantum Physics: What Everyone Needs to Know is a wide-reaching introduction to a nearly ubiquitous scientific topic.